EDIT: This is now resolved. Original cause of the Mk3 being removed from my save game with a UI warning that the MK3 had been removed from the game is still unanswered. The decision to remove the Mk3 Depth Module needed to have come with warning. The MK2 does NOT allow a Cyclops to descend into the active lava zone and survive. Which was where mine was stationed before it's removal, next to my final base in front of the final Precursor research centre. The vessel is now stuck there, with all of my valuable materials on it, unable to move out of the lethal crush depths because of the constant fires on board. Even using a console command to re-add the Mk3 has no effect and isn't recognized by the Cyclops's augment slots. Please either boost the crush depth of the Mk2 by another 150-200 meters to cover the base of the active lava zone, or re implement the Mk3. Yeah, I've got a dead cyc in my main save now too. I understand (and even mostly agree with) the game balance reasoning behind the change, but a warning, or some legacy method to rescue your sub would be nice. Can you console teleport the cyclops if you're driving it? I looked into that as well. Unfortunately you can't. Build # 59690 I can still build one also. It doesn't say anything of them removing it from the subnautica backend website. So is MK3 gone or not? I got a message on screen briefly when loading my save to say that "MK3 is no longer in game. Instances have been replaced by an MK2". I'm on stable release. Build 59691 (new experimental tonight), clean save, build cheats enabled to test: Could craft a cyc depth module Mk3 just fine, granting 1700 crush depth. 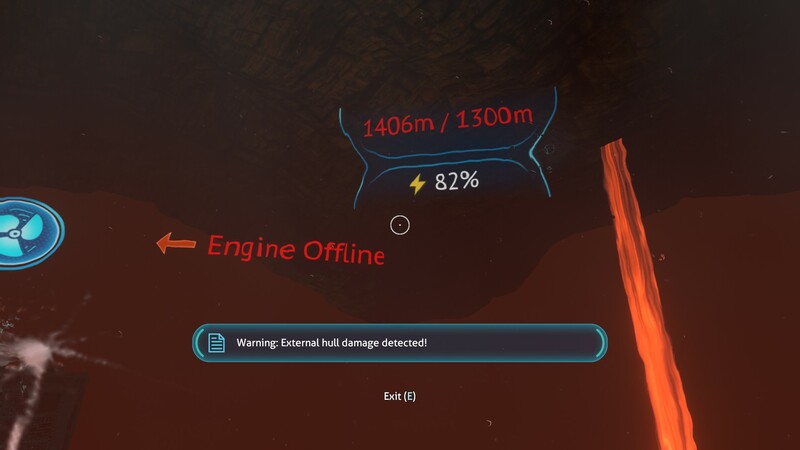 Confirmed, after the 14th attempt to spawn one through consoles and make one, the Cyclops finally accepted it and increased crush depth to 1700 meters. Now I want to know why my original was removed and substituted by a mk2 while I was on the other side of the map from my sub. There is a mark three in a time capsule near the sparse reef. It has a message left by one of the devs, and some supplies. if it follows the naming convention of the other modules. If not, it may be there's only 2 modules now, and they allow you to go up to 1700m?? If so, spawn a new cyclopshullmodule2 and you should be good.